Stressing about your exams? Call iJapanese Language & Culture School. Our friendly and experienced VCE Japanese tutors have helped Melbourne students of all abilities walk into their VCE exams with confidence. Each VCE Japanese tutor is patient, supportive, and dedicated to helping you achieve your goals. They will work closely with you to ensure the lessons meet your needs – including your ability, your areas of concern and your individual objectives. Lessons are available either in groups or privately over a 12-week term. Group lessons – $25/hour – Choose from 1-hour, 1.5-hour or 2-hour classes once a week. You can start the program at any time provided you meet certain availability and ability requirements. Private Lessons – $45/hour – These can be customised to your individual needs. These lessons are more flexible; you can have as many as you need and they can go for as long as you like. Semi-Private Lessons – $35/hour – Designed for two people, this course is perfect for you and a friend to learn together. Price is per person. 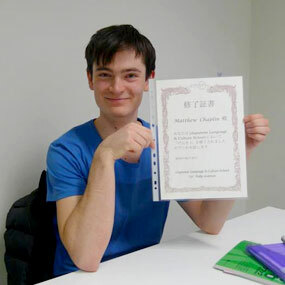 To make an enquiry about our VCE Japanese tutor in Melbourne, please contact us.